Here comes a new stable version of CzechIdM called Forsterine. Big milestone feature is new report module. Forsterite (Mg2SiO4; commonly abbreviated as Fo) is the magnesium-rich end-member of the olivine solid solution series. 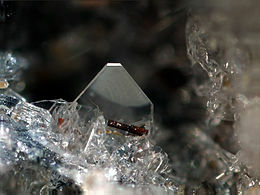 It is isomorphous with the iron-rich end-member, fayalite.